Eda was born Oct. 15, 1919, to Charles and Eda ­Hillman in Wakeeney, Kansas. The family moved to Oregon in 1933. Eda attended school in Kansas, as well as Molalla. She married Marion Schoenborn in 1938. 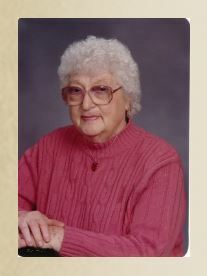 Eda was a member of the Molalla Church of Christ. She was preceded in death by her husband, and her daughter, Shirley. She is survived by her children, Frank, Rodney and Marion; nine grandchildren and numerous great-grandchildren. A funeral service will be held at 1 p.m. on May 6, at Molalla Church of Christ, 36 Fenton Ave., Molalla. Evangelist, Scott Mitchell will officiate at the service.